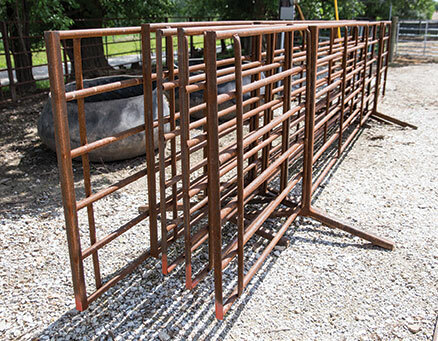 Andy Musgrave of Pittsfield, Ill., was looking for a way to create portable cattle corrals. He took 20-foot metal gates and welded on 3-foot legs, 4 feet from the end of each gate. He also added angle metal on the end of each gate so that they can be hooked together. These gates can be easily moved with the forks of a skid loader.